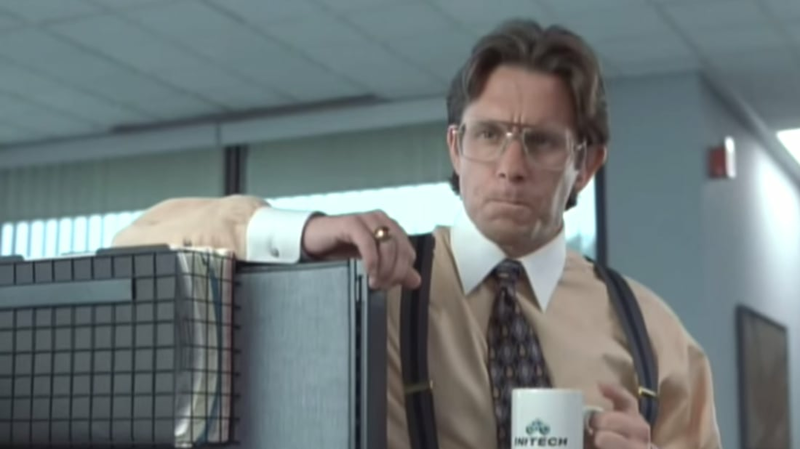 What Is a TPS Report? In Mike Judge's Office Space, Lumbergh, the French-cuffed smug dolt of a boss, passive-aggressively berates Peter for failing to file his TPS reports with a cover sheet. Thanks to that scene, "TPS report" has entered the vernacular and is routinely used when someone wants to evoke mundane, rote busywork. It has popped up in ads, music, video games...the list goes on. But what is a TPS report? According to Rolling Stone, Judge was asked this at a 10th Anniversary screening of Office Space. He replied, "When I was an engineer, it stood for Test Program Set. Isn't that exciting?" A Test Program Set a document describing the step-by-step process in which an engineer tests and re-tests software or an electronics system. Before getting his start with Beavis and Butthead, Mike Judge earned a degree in physics and was an engineer and programmer for a subcontractor working on military jets. In other words, the man had to fill out his fair share of TPS reports in his day.